Regardless of economic swings, physical gold – the kind you can hold in your hand – is a financial investment you control. But, how do you buy gold in its physical form, such as coins, bullion or bars? Below we answer that question with tips on buying physical gold. Popular gold coins outside the U.S. include the Australian Gold Nugget, the Canadian Maple Leaf, and the South African Krugerrand. Keep in mind gold coin prices fluctuate depending on the current metal market price. To buy gold bullion, speak with an investor who specializes in buying and selling gold. Most gold bullion is purchased online. To view a listing of U.S. gold coin retailers, visit the U.S. Mint’s bullion dealer locator. To find reputable companies who deal exclusively with buying and investing in gold, check out our guide on the best Gold IRA companies. Proof Bullion Coins struck for the collector market. These gold coins usually deliver in a U.S. Mint-approved protective display case. Uncirculated Bullion Coins are minted for investment purposes and sold to a limited number of authorized buyers. The current gold market price, known as the spot price, with the addition of a small premium, determine the cost. In the past 10 years, coins and small bars have accounted for approximately two-thirds of annual investments and about one-fourth of the global demand. Gold coins and bars sell in several denominations and measures of content (also referred to as fineness). Fineness is measured in two ways – in carats (the highest being 24-carat) or in parts of gold per thousands (usually 999.9 parts per thousand or slightly less). Coins are usually struck in denominations of 1/20, 1/10, ¼, ½, and one troy ounce. You can purchase bars in grams or troy ounces. Grams in 1, 10, 20, 50, 100, and 1,000 denominations are typical, as well as 1, 10, and 100 troy ounces. In general, the smaller the bar, coin, or investment, the higher the premium per ounce. Gold coins and bars are primarily bought and sold online through a gold investment company or custodian. Each custodian can walk you through the buying and selling process and show you which gold coins and bars it has available for purchase. Although foreign governments also mint gold coins, they may not be made in the same quality or meet the same standards as coins struck by the U.S. Mint. Also, the U.S. government does not guarantee them. Foreign bullion coins are valued in the market primarily by the coin’s “melt value.” The melt value refers to the value of a coin if it were melted down and sold. So, a foreign coin’s condition or “grade” will not influence the price. Although it is easy to find and purchase gold bullion, it’s a good idea to do thorough research and to take note of any potential risks before you buy. Gold investment companies are the best way to go when buying most gold as they know and can explain rules and regulations regarding foreign gold coins. Obtain an independent appraisal of the bullion you are considering. The retailer’s appraisal might be excessive. Inquire about the melt value. Information on melt value for collectible and bullion coins should be readily available. Compare prices before you buy. Banks offer gold bullion, usually at a lower cost compared to retail. Make an online price comparison by entering the name of gold coins you are interested in into a search engine. Also, research the company online for customer ratings or complaints and compare prices on the websites of reputable gold investing companies. Determine if the seller has received complaints by contacting your state Attorney General’s office and local consumer protection agency. Consult with a professional financial advisor who specializes in bullion investment. Ask for a certificate of authenticity or a guarantee of the metal content. Also, research the company that backs the certificate or guarantee. Both types of documents can be faked. Do your research to ensure the gold retailer you have in mind is reputable. If the seller pushes you to have the bullion delivered to a “secured facility” by a third party, be wary. Avoid sales representatives who say they can minimize risk or mention that written risk disclosures aren’t necessary. A professional sales rep will disclose information concerning the risk of investing in bullion. Don’t allow a sales rep to push you into “buying now.” A sales pitch designed to pressure you into buying a precious metal is one you want to avoid. Also, consider the added cost of storing or insuring gold bullion. Opting for first-hand ownership of gold valuables may require renting a safe deposit box or, preferably, secure storage away from your home. Also, insurance coverage in case of theft or loss may be necessary, but most reputable dealers include insurance. If the thought of possessing physical gold seems difficult, investing in a Gold IRA is an alternative and you reap tax benefits at the same time. Beyond holding gold in an IRA, you might think about the different ways to invest in gold to help diversify your portfolio. 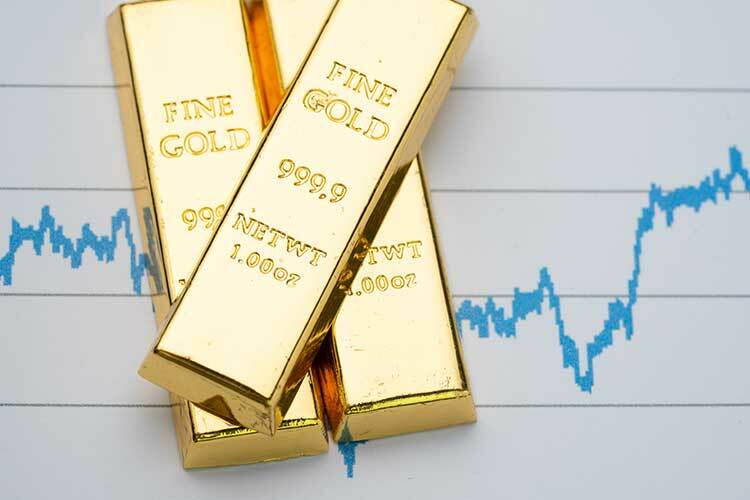 What Causes Fluctuation in Gold Prices? 7 Ways to Invest in Gold Are Precious Metal Rollovers Safe? The Dos and Don’ts of Gold Storage What Is A Gold IRA Rollover? What Is The Gold-Silver Ratio?